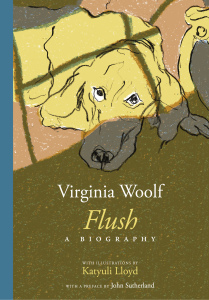 A newly and handsomely illustrated edition of Virginia Woolf’s novel of Elizabeth Barrett and Robert Browning’s courtship and marriage, from the point of view of EBB’s spaniel. A worthy chapter in the literary history of dogs. Short-listed for the V&A Illustration Awards 2016, the book includes a preface by Professor John Sutherland.